I failed in many things. I had my ups and downs. Whatever your goals are, you can try. And if you fail, get up and try again. Many successful people started at zero... Never give up. 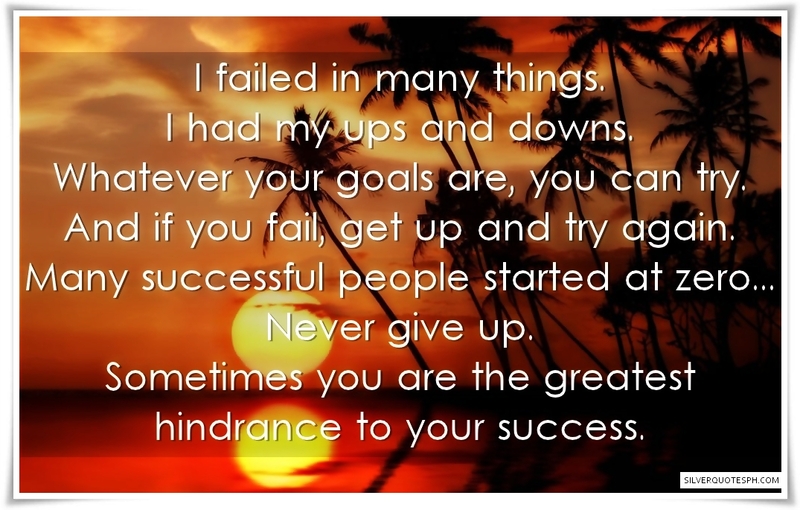 Sometimes you are the greatest hindrance to your success.